For complete peace of mind and unmatched value for money, do consider our "all-Java-products-included" XtremeDevSystem (for Java™) Subscription. You get 12 months free major and minor updates and priority e-mail support. Pure Java to create rich PDF content! No software printer. No native binaries. No Adobe SDK. No GhostScript. No FreeType. How many columns of pages would you like? Sorry, PDFOne Free Edition is not available anymore. Options for specifying printer, printer page size, page range, number of copies, and automatic page resizing, rotation and centering. All JAR files are digitally signed. EmptyStackException thrown by PdfDocument.getPageAsBufferedImage() methods if PDFOne jar files are used along with backport-util-concurrent library in a JBoss web application. Text redaction leaves page with errors in Adobe Reader if the content stream of the redacted pages contain artifacts operand shared with a neighboring content stream. Incorrect positioning of text elements if their position values are specified in certain unusual ways in the document. Issue in decompressing Flate-compressed streams when its DecodeParams is specified as an array object in the document. Added support for 1-bpc Type-1 images "decode" array. Colorspace-processing issue with operands for "k" and "scn" operators when only a few valid colors are specified in the colorspace dictionary. ArrayIndexOutOfBoundsException is encountered in CCITT image-processing when image stream contained EOF marker. Added support for Type-1 8-bpc grayscale images with "decode" array. Optimized decoding of Type-1 8-bpc RGB images. IllegalArgumentException is encountered when dash pattern operator contains unusual operand values. ClassCast exception is encountered sometimes when image dictionary attributes are referred using "IndirectReference" objects. JPX images are not rendered when colorspace information was in ICC colorspace dictionary. Added support for JPEG images with JFIF and EXIF data - requires JAI. Added support for handling Type-1 images as SMask masking. IndexOutOfBoundsException encountered when redacting text - caused by artifacts in content stream. com.sun.image.codec.jpeg.ImageFormatException caused by newline characters at the beginning of image stream. 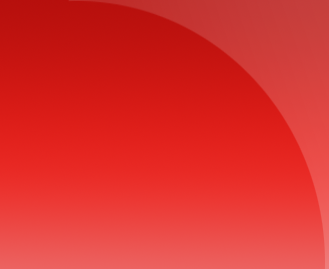 Colors of images with SMask masking (other than Type-1) are rendered incorrectly. Support for rendering Type-1 4-bpc Indexed DeviceRGB images. Support for rendering Type-1 1-bpc DeviceGray images. Added support for CCITT images with "Indexed RGB" colorspace. PdfPageImageElement.getImage() throws NullPointerException exception for some PDF documents. Added support for images using "Separation" colorpace with alternate "Lab" colorspace and tint-transform functions. Some shape elements that are a combination of curves and rectangles are not rendered in full. Some text elements are not rendered when whitespace characters precede their encoding in the PDF. Some images with "Separation" colorspace with "Decode Array" information are rendered inverted. Search methods do not find instances where the search string is broken up over two pages and there is a blank page between them. PdfBadFileException ("Compressed data format is invalid. Can't use Flate filter") encountered with some encrypted documents. New overloaded redactText() methods support searching for the given search text which may have been broken up over two lines or pages - with a parameter to specify whether any associated annotations should also be removed. Text search() methods will return to a list of PdfSearchElement instance whose getBoundingRects() methods provide a list of PdfBoundingRects instance, which in turn provide page number and bounding rectangles of the broken-up parts of the text. Optimized processing of 4-bpc and 8-bpc IndexedRGB images. Support for 8-bpc Type1 images with ColorKeyMasking. Support for Type1 ICCBased images with DeviceRGB colorspace and CCITT images for masking. Optimized processing of images with DeviceCMYK colorspace. Transparent objects appear more transparent than required - alpha values were doubled. DeviceCMYK images with "Decode Array" information were inverted. Some text elements are not displayed if their font resources are marked as "null" in the document. Now, a Helvetica substitute will be used for such elements. Issues in parsing "Name" objects when their names contain hex characters prefixed with '#'. ArrayIndexOutOfBounds exception encountered when parsing cross-reference table of some documents. 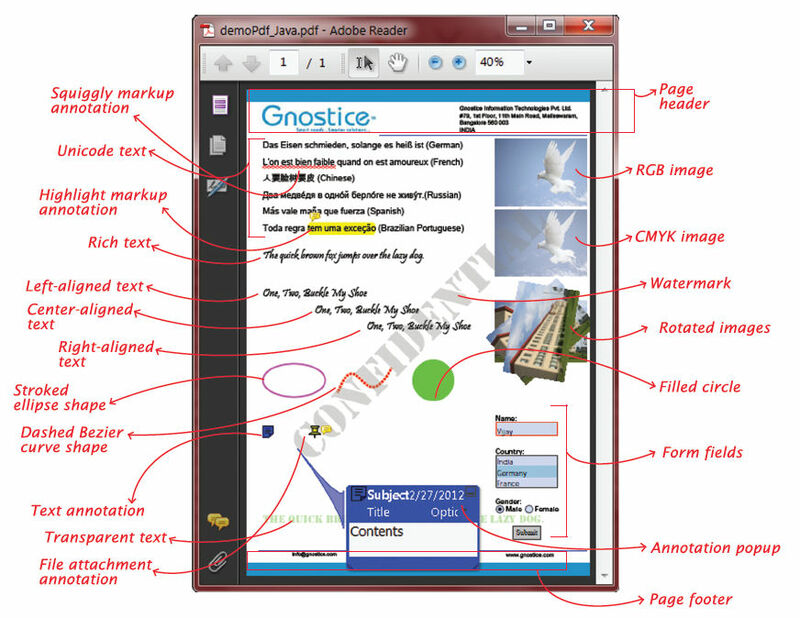 getAllAnnotations() method of PdfDocument and PdfPage classes ignores highlight annotations. Border widths of borderless annotations are set with a value of 1 upon file modification. Some images are drawn twice. Added support for JPX images with SMasks. Added support for Type1 DeviceN AlternateCMYK Image with SMask-Device Gray. Added support for CMYK JPEG images with YCCK colorspace. Added support for EXIF JPEG images. Added support for 4-bpc CMYK images. Added support for DCT CMYK images with "Softmask" masking. Added support for DCT with JBIG2 image masks. Added support for text whose characters have been specified with charcode differences. Added CMap for support of Chinese fonts with CJK encoding. Added support for JPX images with CMYK colorspace. Added support for JPX images with JBIG2 masks. Introduced PdfViewerPageHandler interface with methods beforeRenderingOnGraphics() and afterRenderingOnGraphics() to enable user class to add pre- and post-rendering processing routines of the PDF viewer component. Added new overloaded text-writing and shape-drawing methods with option to specify position of rotation. Introduced PdfDocument.search() overload to search text strings specified in a list. Optimized and sped up document loading. Optimized PdfDocument.isPageEmpty(int pageNum) and PdfPage.isPageEmpty() methods. Introduced PdfDocument.setEmailAfterSave(boolean) and	PdfDocument.setEmailHandler(PdfEmailHandler) methods to automatically e-mail the document after it is saved. Added saveAsImage() overloads in PdfDocument and PdfPage classes with new argument to specify whether aspect ratio needs to be maintained when the generated images are scaled up to a particular width or height. Added support for embedding Type1 fonts (*.pfb). Added new PdfDocument.redactText overload for specifying replacement text for the redacted area. 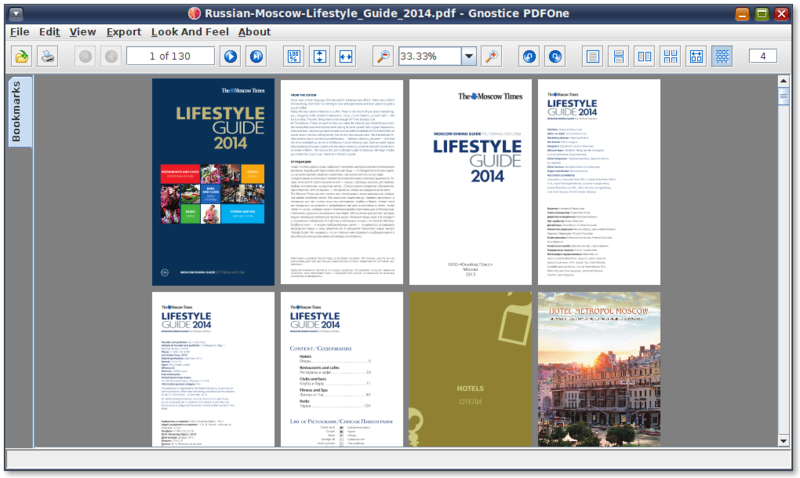 Added new PdfDocument.removePageLabelsRoot method for removing page labels from the document. Improved text redaction methods so that they remove text from composite page elements (Form XObjects) too. Added new PdfFont.getUnitsPerEm() method for obtaining units per "em" size of a font. Improved accuracy of text extraction methods. Conversion of InvertedColors and YCCK To CMYK takes too long to finish. Optimized rendering logic of images with CMYK colorspace. Null pointer is returned if printer doesn't provide services or if there is no printer available - now throws appropriate exception. Text is not rendered due to incorrect parsing of the CMAP stream in some documents. Italic characters are not rendered as italic for some Type 1 fonts. Some page elements are not rendered with proper colors in some documents. Incorrect positioning of text elements if position values are specified before the text content in the internal PDF encoding of the text element. Text using embedded TrueType fonts (with differential encoding) are not rendered. Text using Identity-V encoded CID fonts are not rendered properly. Incorrect spacing if a text element uses non-embedded TrueType fonts for which "widths" array is not available in the PDF. Shapes with CMYK Separation colorspace are not rendered properly. Text using TrueType fonts with differential encoding are not rendered. Text using Type3 font text are not rendered. Some JBIG2 images are not rendered. Text using TrueType Symbol font are not rendered properly. Text elements added by content-creation methods are not positioned properly if media box or crop box has negative coordinates. Error encountered in Mac OS when exporting document contents to TIFF - related to metadata processing. Several transparency issues in addWatermarkText() and writeText() methods. Exception raised when rendering some documents with text using CID font having both 1-byte and 2-byte character codespace range. Incorrect bounding rectangle returned by search() and getPageElements() methods for text elements whose font size is 1. Inline images are not parsed properly in some documents. ClassCastException is thrown for some documents while changes are saved to a loaded PDF document. Loading hangs or raises PdfBadFileException with some documents when it contains 0 bytes at the end of the file. Inline images are not properly parsed for some documents. ClassCastException is raised when document catalog is parsed during loading some documents. PdfStream objects are not read correctly when some documents are loaded from byte array. Exception is raised when file ID is empty or missing. PdfFont.getUnderlinePosition and PdfFont.getUnderlineThickness methods do not return correct values from the font. Redaction fails to remove text that uses octal codes to specify characters. Multipage TIFF images exported by PdfDocument.saveDocAsTiffImage methods does not write DPI value to image metadata. Colors are changed when PNG images are rendered by PDFDocument.drawImage() methods (in when JDK v1.7). Multipage TIFF images are inverted when drawn on a page. Unicode bookmark titles are not read correctly. XRefStream objects are written with invalid offset values when PDF document is saved with version 1.5 or greater. Document is not loaded if the PDF trailer contains comments. Text extraction methods raise OutofMemory exception in some documents. DrawImage() methods raise PdfException ("Invalid Rendered image data") when drawing JPEG images with alpha values. Attempting to modify or save documents having PDF objects with invalid number references raises PdfException ("Invalid Object Number"). Loading some documents with PDF version 1.5 or great raises PdfException ("Object Not Recognizable"). Sometimes text redaction removes text from line below the original redacted line of text. DPI metadata not included in TIFF files generated by saveDocAsTiff and savePageAsImage methods of PdfDocument class. Made PdfDocument class as a Java Bean component. Support for JNLP applications and applets. New setOnPasswordHandler and setOnPageReadHandler methods to register event handlers in user classes implementing PdfPasswordHandler and PdfPageReadHandler interfaces. PdfDocument can directly create, load, save, and close PDF documents - no need for PdfWriter and PdfReader instances. New PdfDocument.dispose() method to dispose I/O resources - previously required to be used with PdfWriter and PdfReader instances. New PdfDocumentChangeHandler interface for user classes to get notified of document loading and closing events - use addPdfDocumentChangeHandler() and removePdfDocumentChangeHandler() methods in PdfDocument to specify user class instance that implements the event handlers. New setFixedPrint() and isFixedPrint() methods in PdfWatermarkAnnotation class to specify whether the annotation should be printed relative to the dimensions of the target media. New overloaded loadDocument() methods to load PDF documents from file and streams. New closeDocument method to close loaded PDF document. New setFinishings/getFinishings methods to specify the javax.print.attribute.standard.Finishings options such as binding and stapler. Add new methods setShowPageNumberLabelOnScrolling() and isShowPageNumberLabelOnScrolling() in viewer to control the current page floating indicator that is displayed when the user scrolls a document. "PageTree is not a dictionary" exception when loading some encrypted documents. Octal values in bookmark titles, document information properties and other string literals not processed. Unable to load documents that did not have a .pdf extension. Unicode strings not justified properly when rendered on a page. PdfDocument.isOverrideFieldAppearanceStreams() method always returns false even when NeedAppearances entry was true in the document. PdfException for "PDFArray cannot be cast to PDFDict" when merging PDF documents that have only one PDF action for the document-open event. Some documents with negative mediabox coordinates rendered incorrectly. PdfDocument constructors that use PdfWriter and PdfReader instances are deprecated. Direct use of PdfWriter and PdfReader classes is not required. PdfViewer and PdfPrinter constructors using PdfDocument instances are deprecated. PdfPrinter.setSelectedPrinterName() throws PdfException if print services are not available. Inability to add new-line characters while setting value for multi-line text field. After merging documents, bookmarks originally from the second document link to pages originally from the first document. A blank page is created when a loaded document containing no pages is saved. If more than nine attachments are added, viewer applications are unable to open attachments #9 and those after it. Unexpected behaviour with NoToggleToOff and RadioInUnison properties of PdfRadioButton. Inability to load the document using PdfReader.fileReader(File file) overloaded method in certain cases. Inability to load document because of invalid objects. For the rest of the history, please click here. 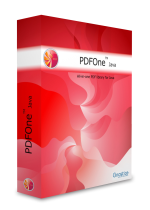 A PDFOne (for Java) developer subscription comes with free priority e-mail support for 12 months. Please send your queries to support at gnostice.com. Please ensure that your mail system does not block e-mail from our domain gnostice.com. (Our support system will send you an autoresponder within a few minutes of your e-mail.) You can also use our online feedback form to send us support queries. A PDFOne (for Java) developer subscription comes with free updates (major and minor) for 12 months. Our news page provides information on the latest updates to our products. You can also subscribe to our news RSS feed to get notified of the latest updates. A copy of these docs is available in the download file. We have also published technical articles related to PDFOne and other Gnostice developer tools, as part of Gnostice Newsletter. To subscribe to the newsletter, send a blank e-mail to info@gnostice.com with the subject set to "SUBSCRIBE". You can also get notified of the latest articles via our newsletter RSS feed.